It is curated – Are you also getting tired of “what my friends are listening to” features on Spotify or YouTube, and the unfiltered flood of music that provides for!? 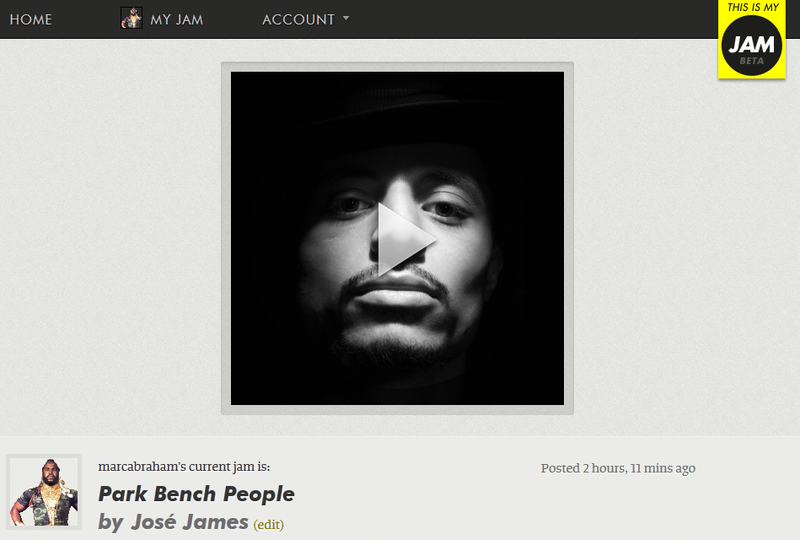 As TIMJ co-founder Matthew Oggle explains: “Music gets lost in the deluge, and even when it’s noticed, links out to Spotify or Youtube in a social feed can feel impersonal.” TIMJ tries to address this by forcing users to carefully select a single jam at the time and enables them to personalise their pick by adding their own text or imagery. It is simple – The TIMJ site looks simple and is simple to use. Selecting and previewing the jam of your choice is incredibly easy and so is customising it. If you wish to share your jam on Facebook or Twitter, again, that is very simple too. I don’t know where it sits on TIMJ’s product roadmap, but it will be interesting to see what their mobile app will look like when they launch it. Music discovery at its finest – Having been on TIMJ for a good 6 months now, I am impressed with the variety of music on there. There is definitely an element of people trying to ‘outcool’ each other which means that you get a truly eclectic mix of genres and artists, and get to discover music that you might not have come across otherwise. Main learning point: like with all these services, the question remains how popular This Is My Jam will become, how quickly it will manage to grow its user base. What I do know is that TIMJ offers a great, easy-to-use service for anyone who is passionate about music or who wishes to discover new stuff! How cool is Google’s Project Glass?